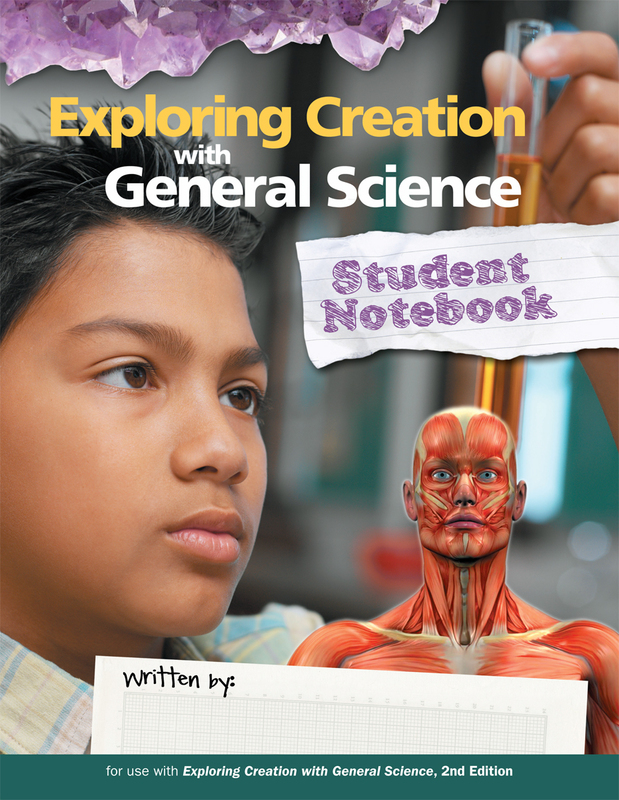 Give your junior high students a fun and helpful way to build study skills while reinforcing their lessons from Apologia’s Exploring Creation with General Science, 2nd Edition textbook. The colorful pages integrate photos, graphics, diagrams, and trendy fonts that provide a fresh, up-to-date feel, while the associated textbook page numbers referenced at the top of assignments will keep everyone on track. This accompanying student notebook journal includes 16 modules that correspond to the 16 modules in the text. 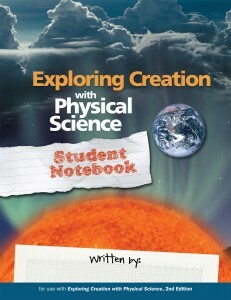 This interactive resource includes graphic organizers; “On Your Own” questions (with room to answer them); study guide questions; “What Does God’s Word Say” investigations that point students to scripture; “Digging Deeper” exercises that provide hands-on or web-based activities; and summary questions, creating a convenient notebook to study and prepare for tests. Lab report forms for each experiment in the textbook’s module are also provided. The back of the book includes fill-in-the-blank module summaries; these are optional, and provide extra practice for students who are having difficulty studying for the module tests. 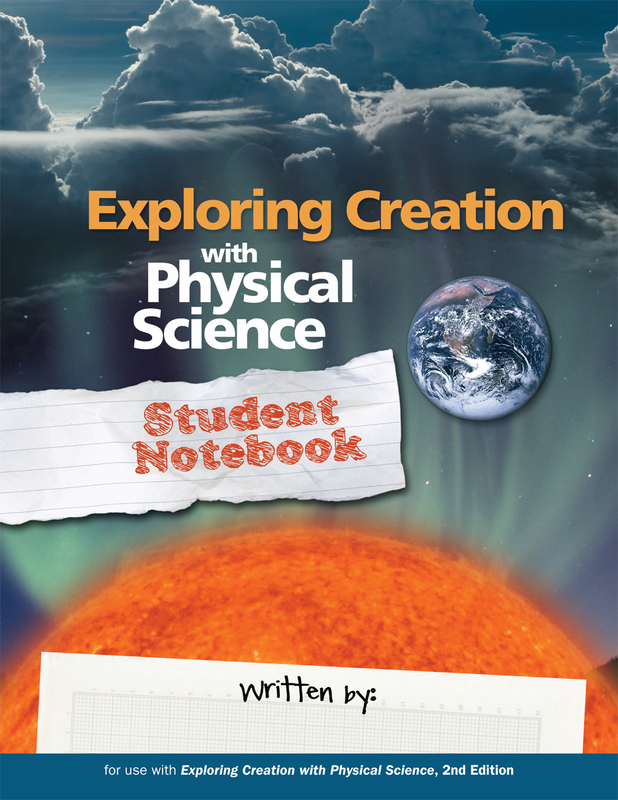 Give your junior high students a fun and helpful way to build study skills while reinforcing their lessons from Apologia’s Exploring Creation with Physical Science, 2nd Edition textbook. The colorful pages integrate photos, graphics, diagrams, while trendy fonts provide a fresh, up-to-date feel. The module numbers and associated textbook page numbers referenced at the top of assignments will keep everyone on track. 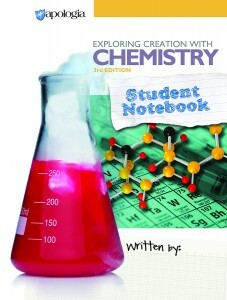 This student notebook journal includes 16 modules that correspond to the 16 modules in the text. Interactive elements include graphic organizers; “On Your Own” questions (with room to answer them); study guide questions; “Digging Deeper” exercises that provide hands-on or web-based activities; and summary questions, creating a convenient notebook to study and prepare for tests. Lab report forms for each experiment in the textbook’s module are also provided. The back of the book includes fill-in-the-blank module summaries; these are optional, and provide extra practice for students who are having difficulty studying for the module tests. Give your high school students a fun and helpful way to build study skills while reinforcing their lessons from Apologia’s Exploring Creation with Biology, 2nd Edition textbook. The simple layout integrates graphics, simple charts, and modern fonts that provide a clean, fresh workspace, while the textbook chapter sections or module numbers referenced by each page or question will keep everyone on track. This accompanying student notebook journal includes 16 modules that correspond to the 16 modules in the text. 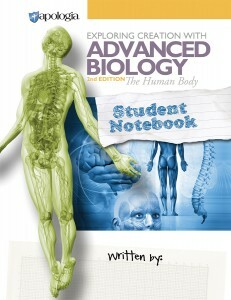 This interactive resource includes graphic organizers; “On Your Own” questions (with room to answer them); study guide questions; optional fill-in-the-blank module summaries; diagrams to label; and lots of lined (Cornell-system) note-taking pages specifically designed for students to create their own convenient notebook to study and prepare for tests. Lab report forms for each experiment in the textbook’s module are also provided. 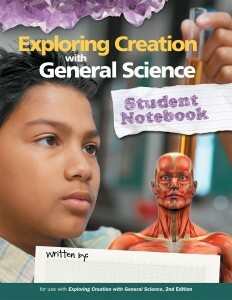 The back of the book includes a “Designing an Experiment” section that leads students through the scientific process. A complete daily schedule breaks down the text, notebook pages, tests, and experiments into weekly and daily blocks; following the schedule will enable students to finish the course in 34 weeks. 604 pages, softcover, spiralbound. 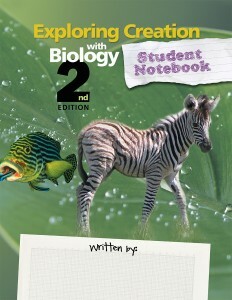 The answers to the Study Guide questions, Summary questions, and tests are provided in the “Solutions and Test for Exploring Creation with Biology” book. Give your high school students a fun and helpful way to build study skills and reinforce lessons from Apologia’s Exploring Creation with Chemistry, 3rd Edition. The simple layout integrates study notes, questions from the text, and room to record experiment data within a clean, fresh workspace. This student notebook journal is divided into sections that correspond to the text. First, an introduction provides rubrics, notes and schedules. This is followed by each module’s notebooking pages, which include blank note-taking pages along with room to answer the “on your own” questions, study guide questions, and extra practice problems. This is followed by the “Experiments” section, which features lab reports for every experiment in the text; forms include the objective, materials needed, primary question for the experiment, and procedure, as well as room to record the student’s hypothesis, data, and observations. Finally there’s a brief section on creating and interpreting graphs, which will help students understand how to create accurate and appropriate line graphs from data, and also how to interpret the most common line graphs. A complete daily schedule breaks down the text, notebook pages, tests, and experiments into weekly and daily blocks; following the schedule will enable students to finish the course in 34 weeks. 608 pages, softcover, spiralbound. The answers to the Study Guide questions, Summary questions, and tests are provided in the “Solutions and Tests for Exploring Creation with Chemistry” book.. Non-reproducible, consumable student workbook. 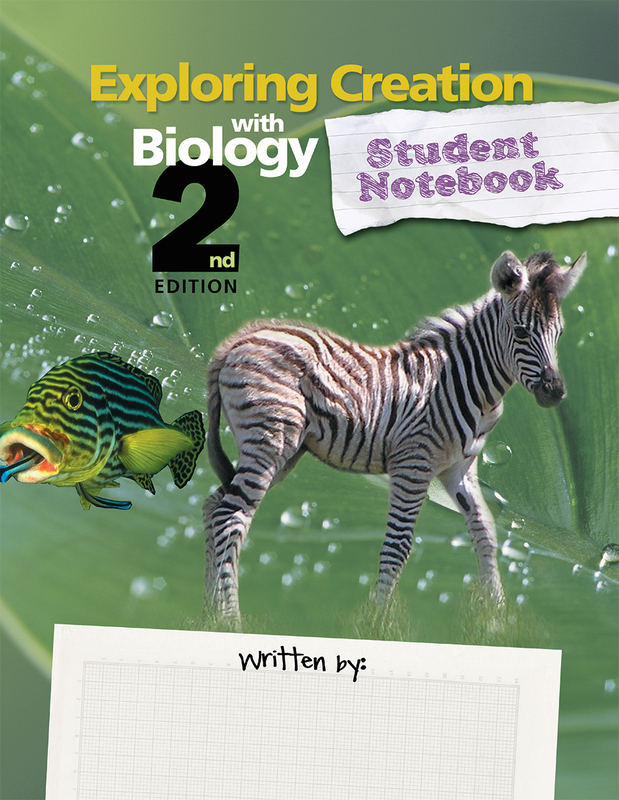 Give your high school students a fun and helpful way to build study skills while reinforcing their lessons from Apologia’s Exploring Creation with Advanced Biology in Creation, 2nd Ed. textbook. The simple layout integrates graphics, charts, and modern fonts that provide a clean, fresh workspace, while the textbook chapter sections or module numbers referenced by each page or question will keep everyone on track. This accompanying student notebook journal includes 16 modules that correspond to the 16 modules in the text. This interactive resource includes graphic organizers; “On Your Own” questions (with room to answer them); study guide questions; quarterly reviews; diagrams to label, and lots of lined (Cornell-system) note-taking pages specifically designed for students to create their own convenient notebook to study and prepare for tests. Lab report forms for each experiment in the textbook’s module are also provided. The back of the book includes an appendix with Latin and Greek word parts, quarterly review answers, and three optional case studies to investigate. A complete daily schedule breaks down the text, notebook pages, tests, reviews, and experiments into weekly and daily blocks; following the schedule will enable students to finish the course in 34 weeks. 450 pages, softcover, spiralbound.